Kamagra: What is the Safe Alternative? Kamagra: Why is it illegal? Is there a Safe Alternative? Buying or selling Kamagra is prohibited in the UK and should be avoided by those seeking ED treatment. Sildenafil is a cheaper yet safe alternative to Viagra which is legal to buy from our registered pharmacy. Sildenafil contains the same ingredients as Viagra, is subject to the same rigorous testing, and produces the same clinical results. It just isn’t sold under the same name, and may be manufactured by other pharmaceutical companies other than Pfizer, such as Actavis or Teva. You can find out more by referring to our information page detailing the difference between generic and branded ED treatments. Kamagra is the name given to a drug for erectile dysfunction manufactured in India. It is more commonly known as a cheap alternative to Viagra, but is illegal to buy and sell in the UK and the EU. It depends where you get it from. The original version manufactured and sold legitimately in India by Ajanta Pharma (a large and reputable pharmaceutical company) contains the ingredient sildenafil citrate. It is also developed by other companies in India under various names including Silagra, Edegra and Penegra. 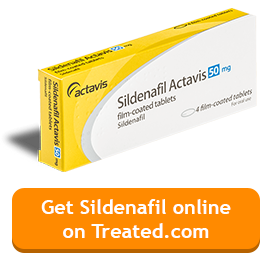 Sildenafil is the same drug used in Viagra, and of course, generic sildenafil. However, what many unscrupulous traders operating in the UK and Europe are actually selling is not Kamagra at all. It can often be a fake version of the drug engineered to look like the original. Counterfeit drugs can contain absolutely anything, and aren’t subject to safety checks. Consequently, those who buy and take fake versions of drugs, such as ‘cheap Kamagra’, ‘cheap Cialis’, or even authentic prescription medicines but without first consulting a doctor, are putting their health in considerable jeopardy. Where do people buy Kamagra from? As mentioned above, in India, Kamagra is available to buy legitimately in pharmacies. However Kamagra is not licensed for sale in Europe, so sellers often resort to the use of fake or scam pharmacy websites, or simply trade on the street. Why is it unsafe to order Kamagra online or from street traders? Buying Kamagra or in fact any medicines in this manner is incredibly unsafe for a number of reasons. Firstly, the ‘cheap Viagra’ you are buying, if you receive a product at all, is not subject to rigorous laboratory testing and may not contain what the seller says it does. Secondly, even if the drug you are buying is genuine Kamagra, this will still be dangerous for an individual to use without first consulting with a doctor. The active ingredient, sildenafil, is not safe for everyone to use and may cause dangerous and potentially life-threatening side effects in some. This is why the medication is only available in the UK on prescription. In addition to this, the website or person you buy Kamagra from is operating outside the law and may use your credit card or PayPal details fraudulently. What treatments are legal in the UK? Apart from Viagra Connect, these treatments are all prescription-only. Viagra Connect can be bought without a prescription, but you will be required to answered a few general health questions from the pharmacist first. Ajanta is one of many reputable companies which manufactures and markets generic Sildenafil for sale in the UK and Europe. Unlike Kamagra, this is legal to buy with a prescription. How can I buy erectile dysfunction treatment safely? You can consult your regular doctor, who will discuss the condition with you and potential solutions. If suitable, they may choose to issue a prescription for one of the above medicines. Doctors will however only issue an NHS prescription for ED treatment when a patient has certain contributory conditions. Otherwise, a patient will not be eligible for the NHS levy and have to buy at market price. Buying Cialis and other impotence medicines online is also a safe option when you use a registered pharmacy and consultation service. Look for the GPhC logo, and check the websites credentials. As mentioned above, ED treatment is only available to purchase on prescription (unless you are purchasing Viagra Connect, which is a pharmacy medicine); so if you don’t already have one, the pharmacy site you are using will have to provide a means of consultation with a practitioner prior to issuing medication. Online consultations are simple, secure, and allow a physician to check a patient’s suitability for treatment. Those in the UK looking for a cheaper alternative to Viagra should avoid buying Kamagra at all costs. It isn’t legal in Europe, and counterfeit versions mean it isn’t worth it for your health, or your wallet. Those looking for a more competitively-priced erectile dysfunction treatment should instead consider generic Sildenafil, and most importantly consult with a doctor first. Can a vasectomy cause ED?